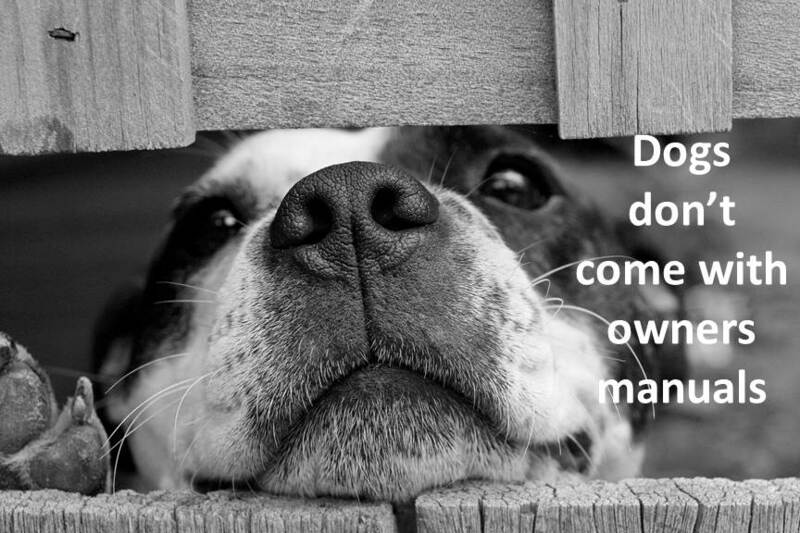 Dogs don’t come with owners manuals! Your dog may need supplementation more than you do? Dogs don’t come with owners manuals the way your car does but wouldn’t it be an amazing support system if they did. You don’t have to look far to get good information on tuning up your dog both mentally and physically; supplying the right feed and fuel sources; which lubricating oils to use; and how to produce a shiny lustrous appearance that oozes health and vigor. Opinions are plentiful but credible, reliable information is hard to find. One of the common questions we encounter at BiologicVET is whether supplementation is necessary at all until illness creates a demand. What about preventing failure of health? If your dog is healthy, why supplement? If your dog is healthy, your responsibility is to keep him healthy and this gets harder to do as they age. Supplementation is powerful insurance. And in the case of your dog, its most often insurance you can see working in a matter of days. Why is it that supplementation of our dog’s food produces such noticeable results in our canine companions compared to how this same supplementation affects the health of the human guardian. Have you ever stopped to think about what you’re feeding your canine family member? Food from a bag or can is what we’ve been brainwashed to accept as our pet’s best source of nutrition. Remarkably, even when our pets are treated for joint conditions, digestive disorders, skin and coat issues or basic premature aging, the professional recommendations most often include condition-specific foods that are themselves, dried, processed and bagged. Have you ever stopped to think why kidney and liver disease is prolific in our pet populations; and why allergies and skin disease is a bigger problem than it ever was. Why are our dog’s living to twelve, fourteen or maybe as long as sixteen years when they used to live longer? And why does this happen while our health care technologies appear to be advancing? Age and health are not a function of chronological time. Healthy age is a state of mind that embodies who and how you are mentally, physically and spiritually. The same goes for your dog. Lifestyle molds health from the activity of the genes to the state of mind and body. Research shows that lifestyle and nutrition interface with genetic codes to regulate and guide health and fitness and how well it is preserved over time. Metabolism is a direct reflection of lifestyle. This activity is so well documented that scientists have created a new field of study they call Epigenetics. It is the study of how environment, nutrients and even state of mind influence the activity of DNA. Nutrient-gene interactions are highly documented. Various nutrients such as vitamins, minerals antioxidants, proteins and amino acids are now recognized as modulators of genes. This research unveils gene-specific activity for common compounds and demonstrating how distinct forms, doses, and combinations form powerful treatments for what once were ravaging diseases. They do so by empowering the body’s natural ability to overcome illness and regenerate spontaneously. It’s amazing science. What’s even more amazing is that this research justifies the value of healthy lifestyle and wholesome nutrition to immediate and long term health. How can dried bagged food supply all the nutrients in whole forms that your dog’s genetic codes need to produce a healthy outcome? If you ate out of a cereal box for two to three meals of your day, each and every day of your life, you couldn’t possibly be as healthy as you could be even though most of these breakfast cereals are said to be complete wholesome nutrition. And these limitations in whole, active nutrients from your canine’s bagged or canned food are what set the stage for such remarkable improvements in physical appearance and mental state when the right supplement programs are added to the meals daily. Supplementation works so well because these foods we’ve chosen as staples are nutrient damaged. An impressive list of ingredients may look good on the side of the food bag or can, but how much survives the processing is questionable. You’re in charge of how nutrients and lifestyle interact with your own DNA and that of your canine companion to manifest metabolic health and quality of life. If you choose processed bagged or canned foods as a staple, supplementation of the broad array of essential nutrients must be administered daily with this food to empower the body’s built-in health maintenance systems and keep them in the ON position. This nutrition serves much like a software program to the genetic operating system. If any of these nutrients become limited or missing significant health consequences could result. As your pet ages, resilience to these limitations also declines. Supplementing omega-3 and Omega-6 fatty acids, vitamins, minerals, and antioxidants make certain that nutrients damaged during processing of foods are supplied daily in their active forms. As much as whole raw foods are the best source of nutrition, we face another man-made challenge that has also chipped away at this nutrition. The actual nutrient profile of the meat we might feed is somewhat man-made. The nutritional profile of the meat derived from domesticated livestock is dependent on their feed. Meat sources from animals in the wild will have a different nutrient profile that might include higher and different mineral, vitamin, and even antioxidant levels. They also generally have higher levels of naturally occurring creatine. Domestic meat sources will also provide different fatty acid proportions that might not be as health-promoting as the fatty acid profiles found in wild meat sources. Fruits and vegetables are also nutrient-compromised due to today’s commercial practices. They are grown in faster growth cycles, in chemically fertilized plots and picked earlier in their maturation phase to ripen during transit across the continent and globe. This reduces starting nutrient density of the vegetation. As much as raw food provides undenatured or non-damaged nutrition, it too is compromised compared to what we and our canine companions ate several decades ago. The processed dog food you’ve been feeding your dog is made with these commercially raised meat sources and fruit and vegetable crops. In other words, long before processing takes a bite out of the nutrient activity, the starting nourishment is nutrient scant. Supplementation of any diet with vitamin, mineral, and Phyto antioxidants, as well as polyunsaturated fatty acid blends, increases nutrient density and the health potential of the feed. And this increased health potential is not only required because of the nutrient limitations of the feed. When we impose the environmental pollution, lifestyle stresses and household toxins on our pets on top of this nutritional limitation the body simply cannot cope. They may cope when they’re young, but age comes upon them sooner than expected due to this compounding strain. Supplementation to prevent premature degeneration and aging is logical but supplementation of your canine’s food requires different forms and different profiles than that which you might feed yourself or other human members of the family. Dogs have different metabolic needs and digest this nutrition using different enzymatic profiles, gastric pH, and gastrointestinal lengths. Take charge, feed whole, healthy food, supplement and stay active with your companion canine to enjoy each other’s friendship and life quality longer.